Increasing stockholders' equity generally increases the stock price. 2. How Is a Return on Equity Capital Calculated? 3. Do Treasury Shares Have Anything to Do With Stockholders' Equity? Shareholders' equity represents what portion of a company's assets would go to its owners after its financial obligations, called liabilities, are paid out. You can use a simple equity formula to find shareholders' equity if you know a company's assets and liabilities. It's often provided and broken down into various subcategories, such as retained earnings held by the company and paid-in capital from investors, on a company's balance sheet. Shareholders' equity is a company's assets minus its liabilities. It can be a negative number, although this usually doesn't mean that shareholders actually owe money to the company or its creditors. A balance sheet is one of the standard documents shared by companies with investors, and it spells out a company's assets and liabilities. Assets are essentially what the company owns, and they include tangible holdings like real estate, buildings, tools, inventory for sale and the like. A company's assets also include cash and securities, accounts payable owed to the company and prepayments on rent and services. Assets that can be converted to cash within a year are called current assets, while other assets are long-term assets. Liabilities are a company's financial obligations. They're also divided into current and long-term liabilities, where current liabilities are owed within a year and long-term liabilities can be paid off over a longer period of time. Common liabilities you'll find on a corporate balance sheet include wages owed to workers, taxes owed to the government, dividends to be paid to shareholders, rents owed to landlords and any debt taken out by a company. Shareholders' equity is computed by subtracting liabilities from assets. It's often listed on the company's balance sheet. Sometimes you'll see it broken down into common stock equity, meaning the nominal value of the outstanding shares of common stock in the company, along with the similar preferred stock equity and a figure called additional paid-in capital, which represents what shareholders paid for their shares beyond that nominal par value. The par value of the stock is in some cases set at 1 cent or $1, and often has little relation to its actual value, so additional paid-in capital is often the bulk of the shareholders' equity. In theory, if a company is liquidated, the shareholders' equity would go to the investors in proportion to how much stock they own. If shareholders' equity is more than a company's market capitalization, meaning how the total market value of the company's stock, some investors will see this as a bargain, since in theory, they're able to buy the stock at a discount. It can, however, also be a sign that investors overall believe the shareholders' equity will decline, perhaps because the company will need to spend cash or take on debt. Shareholders' equity can be negative. This can be a red flag for investors, since it means that unless something changes, there will be little left for them after the company resolves its liabilities. This situation usually arises if a company has lost money or been forced to take on excess debt to pay its bills. It usually does not mean that shareholders owe money to the company, since modern corporate structures don't make shareholders personally responsible for the company's debts, though they can certainly lose their existing investments. In some cases, investors will look at the debt-to-equity ratio of a company in evaluating its financial health. This is computed by dividing the company's total liabilities by its shareholders' equity. Companies with a higher debt-to-equity ratio are more leveraged, and this will lead some investors to view them as risky. Variations of the debt-to-equity ratio look only at long-term debt, to avoid fluctuations due to short-term obligations on the company's balance sheet. If the total liabilities exceed the total assets, the shareholders' equity is negative. 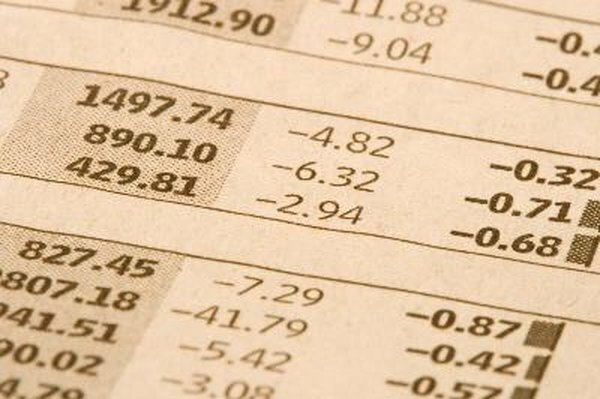 What Types of Accounts Are Found in a Statement of Changes in Shareholders' Equity?